Whittle Communication. Hardcover. POOR. Noticeably used book. Heavy wear to cover. Pages contain marginal notes, underlining, and or highlighting. Possible ex library copy, with all the markings/stickers of that library. Accessories such as CD, codes, toys, and dust jackets may not be included. Whittle Communications, 1990. Hardcover. Good. Disclaimer:A copy that has been read, but remains in clean condition. All pages are intact, and the cover is intact. The spine may show signs of wear. Pages can include limited notes and highlighting, and the copy can include previous owner inscriptions. At ThriftBooks, our motto is: Read More, Spend Less.Dust jacket quality is not guaranteed. Whittle Communication. Hardcover. 0962474541 Ships promptly from Texas. . Good. 1990. Whittle Direct Books, 1990. Hard cover. Very good in very good dust jacket. Signed by previous owner. Sewn binding. Paper over boards. 85 p. Larger Agenda Series. Audience: General/trade. Whittle Communication. Hardcover. 0962474541 Great used condition. A portion of your purchase of this book will be donated to non-profit organizations. Over 1,000,000 satisfied customers since 1997! We ship daily M-F. Choose expedited shipping (if available) for much faster delivery. Delivery confirmation on all US orders. . Very Good. 1990/06/01. Whittle Direct Books, 1990. (D/j is slightly edgeworn). Black covers with gray lettering on spine and front cover. The Larger Agenda Series. 85 pages.. Probable 1st Printing. Hard Cover. Near Fine/Near Fine d/j. 4to - over 9¾" - 12" tall. Knoxville, TN, U.S.A.: Whittle Direct Books, 1990, 1990. Hard Cover. Used: Very Good. Hard Cover. Very Good/Very Good. Light edgewear on D.J. and wrinkling. Fine interior. Whittle Communication. Very Good in Good+ dust jacket. 1990. Hardback. 0962474541 . The Larger Agenda Series; 10.20 X 6.80 X 0.40 inches; 85 pages . Whittle Communication, 1990 Hardcover. Good/Good. New York: Whittle Direct Books. Very Good in Very Good dust jacket. 1900. Hardbound. 0-9624745-4-1 . Whittle Communication, 1990-06. Hardcover. Good. Hardback with dust jacket in great condition. Whittle Communication. Used - Very Good. Very Good condition. Good dust jacket. Whittle Communication. Used - Like New. Like New condition. Very Good dust jacket. 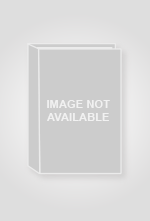 University,: Whittle Direct Books, 1990 Book. Good +. Hardcover. Good + hardcover. All hardcover dust jackets are covered in protective Demco mylar. Nice clean copy..
Knoxville, TN: Whittle Direct Books, 1990. Cloth. Fine/Fine. 4to - over 9¾" - 12" tall. 85 pp. Part of The Larger Agenda Series, edited by William S. Rukeyser. What is it that makes one team perform better than another? Whittle Communication, June 1990. Hardcover Hardcover. Very Good/Very Good. VG, light mildew on back board, overall as new, tight & clean. VG jacket, slight moisture rippling. Whittle Communication, 1990-06. Hardcover. Very Good. Knoxville, Tennessee, U.S.A.: Whittle Communication, 1990. Book. Fine. Hardcover. 1st Edition. 10 1/2h x 7w. A real nice clean unmarked 83 page first edition hardcover. Dust jacket has just a little wear and looks great. 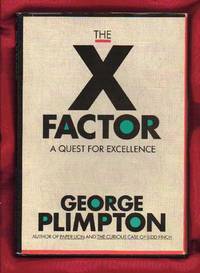 Synopsis: In this book, the quest of avoiding humiliation a second time (THE X Factor), is discussed in a hilarious and informative fashion, leading from the locker room to the boardroom, with many strange stops in between. The author corners superstars like Bill Russell and Billie Jean King, famous coaches, the chairman of American Express, sports doctors, and mergers and acquisitions king Henry Kravis, and puts the same question to all of them: what is it that allows an individual, or a team, to outperform competitors who are no less gifted, mentally and physically? Their answers run the gamut from motivational rage to new-age meditation..
Knoxville, TN: Whittle Communications. Very Good in Very Good dust jacket. 1990. Cloth. 0962474541 .